American wildlife photographer and writer Roger Caras once said that “dogs are not our whole life, but they make our lives whole.” Dog lovers everywhere can relate - our canine companions comfort us, love us unconditionally and make us laugh at their silly antics; it’s no wonder we’re reluctant to leave them behind when we go on vacation. 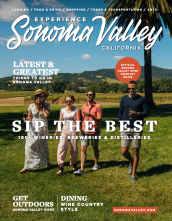 In Sonoma Valley, you’ll find plenty of options to accommodate you and your furry family member. Dogs are welcome at both The Lodge at Sonoma Renaissance Resort & Spa and the Fairmont Sonoma Mission Inn & Spa, which provides your pet with a dog bed and bowls. The boutique Olea Hotel will pamper your dog with a special welcome basket filled with treats and other pet amenities. The 16-room Sonoma Creek Inn has four dog-friendly guestrooms available. More pet-friendly properties include the Inn at Sonoma and Best Western Sonoma Valley Inn. When your pooch is ready for playtime, head out to one of the destination’s many parks and trails, including five off-leash dog parks. Ernie Smith Community Park located 2-1/2 miles from Sonoma Plaza features a half-acre dog park while the 202-acre Sonoma Valley Regional Park boasts a one-acre dog park with drinking fountain and shade gazebo. Hike the park’s many scenic trails with your dog on leash. You’ll also find designated dog areas in the famed Jack London State Historic Park. No need to skip a wine country excursion when traveling with your dog as numerous wineries in Sonoma Valley are pet-friendly; some even allow dogs in their tasting rooms like Larson Family Winery whose Three Lab label is inspired by their beloved family Labradors. You can share a bite with your four-legged friend at several dog-friendly cafes and bistros in Sonoma and surrounding areas. For a delicious breakfast and prime people- and dog-watching, visit Basque Boulangerie Café located in the heart of Sonoma’s historic plaza. Other dog-friendly eateries around town include Hopmonk Tavern, La Salette Restaurant, Park 121 Café, Grill & Market at dog-friendly Cornerstone Sonoma, and Garden Court Café in Glen Ellen. Make your pup’s day with a stop at Sweet Scoops Homemade Ice Cream where the artisan ice cream shop whips up doggy ice cream sandwiches or head to Three Dog Bakery for a special treat. 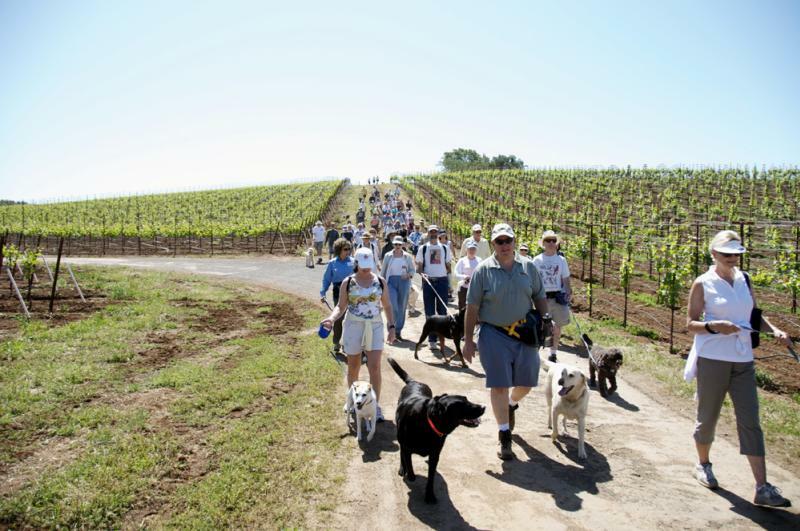 You’ll find a host of dog-friendly places and services via the Sonoma Valley Dog Owners & Guardians website at www.svdog.org. Know before you go: Most hotel properties require advance reservations and an extra fee when bringing your dog. Be sure your canine companion is licensed and up to date on vaccinations. Bring water and pet bowl when hiking, and keep plenty of doggie waste bags on hand.